Trying to explain to Ruby (almost 3) that Wes and I were going to be gone for a while seemed to be difficult for her to understand. 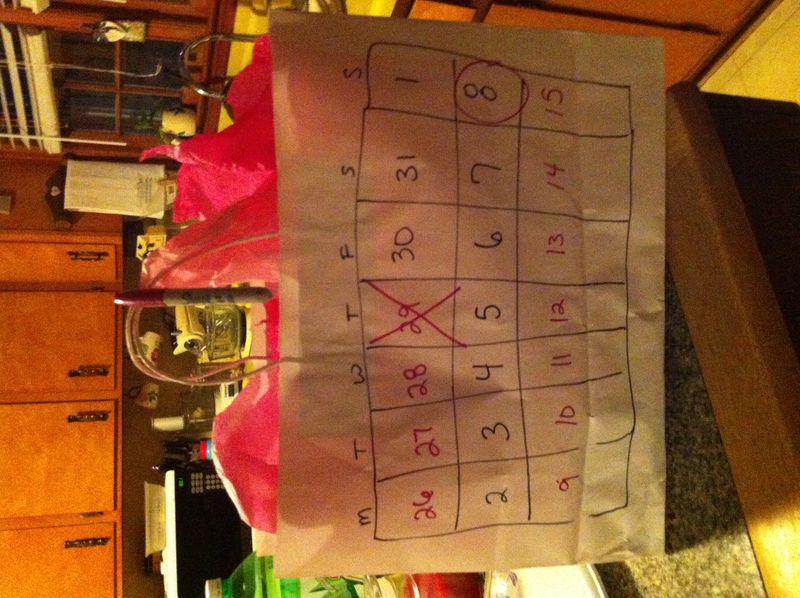 We are returning from our vacation to Hawaii on Easter Sunday, so instead of leaving an Easter Basket for her, I put her gifts in a white gift bag. 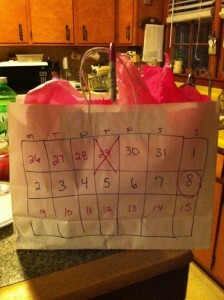 Then, I drew a calendar on the bag and attached a sharpie so that she could mark off each day we were away. That way, she will be excited to open her present AND she might even be excited for us to come back.